The Patricia bra is a light compression bra with zip-front closure, which allows for ease putting it on and taking it off, even with limited mobility after a surgery. The Patricia compression bra in white features a brushed, plush-feeling fabric that wicks moisture away; its rounded neckline is comfortable at just the right height. 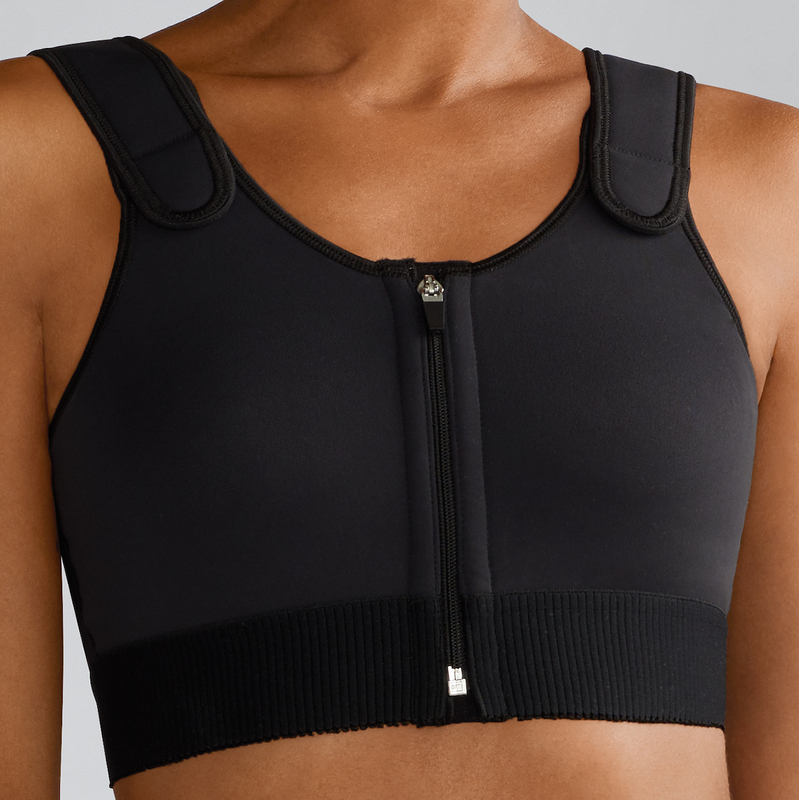 This compression bra is ideal after some surgeries; it can keep everything in place while still allowing easy access to a port or for follow-up appointments.